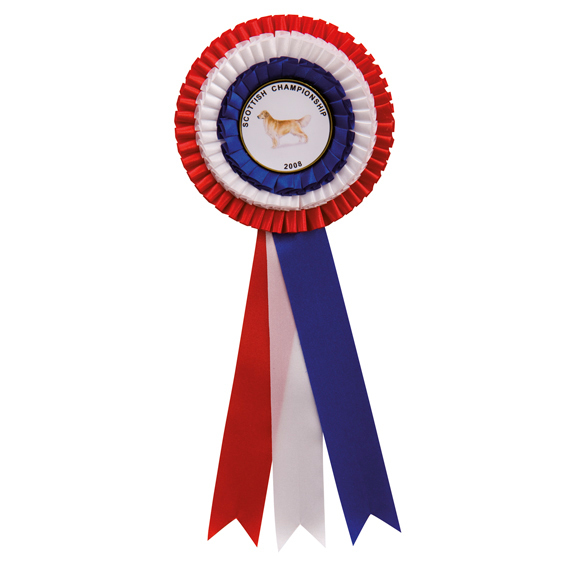 Celebration Rosettes 305mm in length. Red, white and blue in colour and comes with a clip on the back. Have the centre customised with your club logo or a standard centre. Customised centres are an additional cost.